651 PONTE VEDRA BLVD #651APonte Vedra Beach,FL 32082U.S.A. 1401 1ST ST S #501Jacksonville Beach,FL 32250U.S.A. 1401 1ST ST S #406Jacksonville Beach,FL 32250U.S.A. 1331 1ST ST N #705Jacksonville Beach,FL 32250U.S.A. 1401 1ST ST S #301Jacksonville Beach,FL 32250U.S.A. 452 BEACHSIDE PLAmelia Island,FL 32034U.S.A. 230 SERENATA DR N #721Ponte Vedra Beach,FL 32082U.S.A. 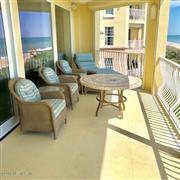 1501 PIPER DUNES PLFernandina Beach,FL 32034U.S.A. 349 1ST ST S #501Jacksonville Beach,FL 32250U.S.A. 205 1ST ST S #301Jacksonville Beach,FL 32250U.S.A. 7 AVENUE DE LA MER #801Palm Coast,FL 32137U.S.A. 7 Avenue De La MerPalm Coast,FL 32137U.S.A.